We loved our first one pot meal so much, there was no way we weren’t giving more one pot and one pan meals a try. 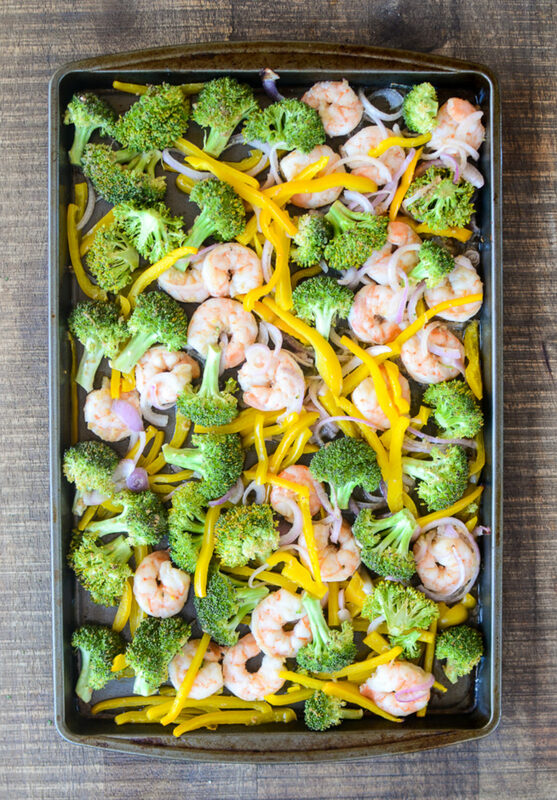 Sheet Pan Ginger Honey Shrimp, Vegetables is all lean protein and colorful veggies for when you need something super light, but still incredibly flavorful. Ginger, garlic, and sesame give this dish just the zip it needs. But the very best thing about Sheet Pan Ginger Honey Shrimp? Two basic steps: Marinate, spread on a sheet pan, and into the oven it goes. 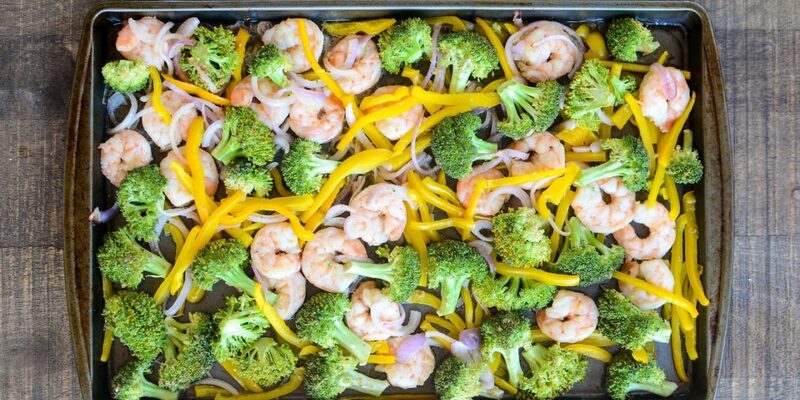 Our recipe for Sheet Pan Ginger Honey Shrimp, Vegetables is all lean protein and colorful veggies for when you need something super light, but still incredibly flavorful. Toss shrimp, peppers, onions, and broccoli with remaining ingredients and allow to marinate for 1 hour or overnight. Prepare a sheet tray with cooking spray. Place shrimp and vegetables on prepared sheet tray. Drizzle remaining marinade over shrimp and vegetables. Roast in a 400°F oven until shrimp is cooked through and vegetables are tender and caramelized, about 12 minutes. Are you down for making mealtime easier? Try One Pot Lemon Braised Chicken Thighs, Artichokes, Green Beans, Orzo and stay tuned for more quick and easy meals throughout the month. For more information about this article or others, please email us at FLIKblog@compass-usa.com.